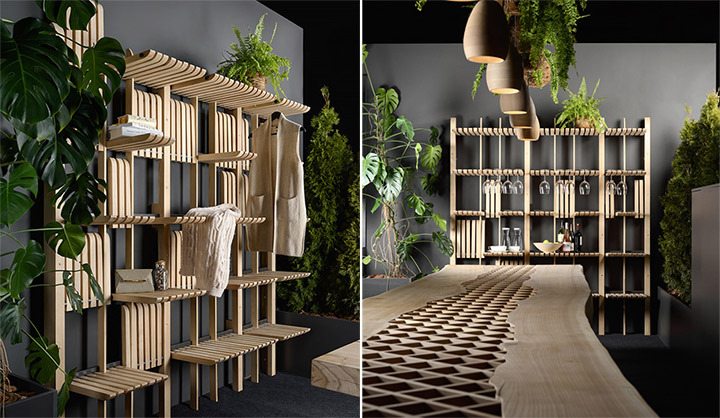 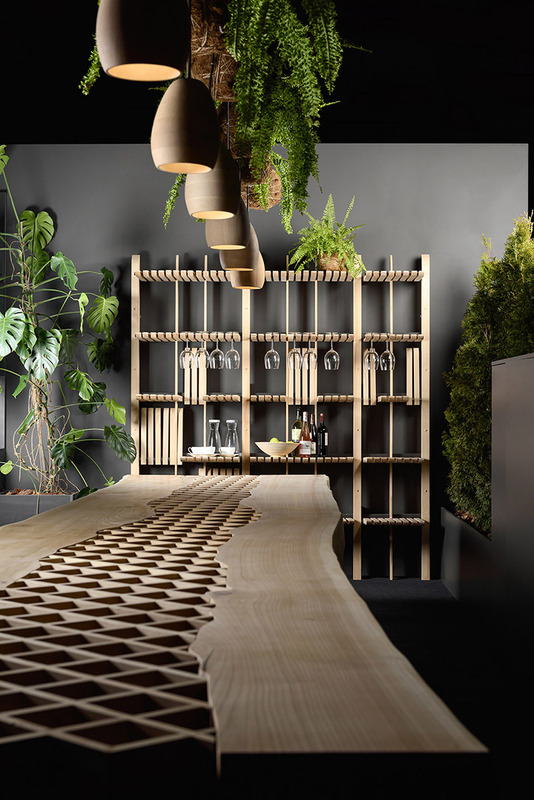 The GATE Shelves collection by Artem Zakharchenko is a versatile wooden shelving system that can be used anywhere you want. 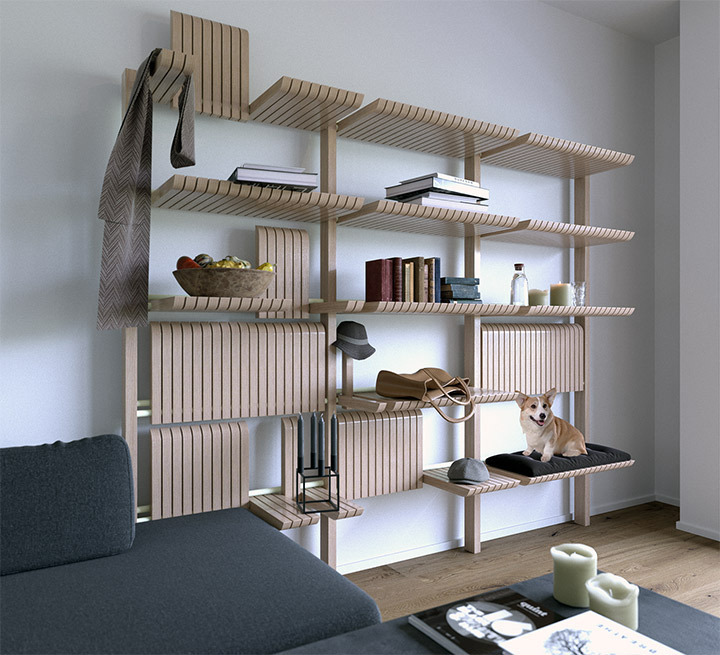 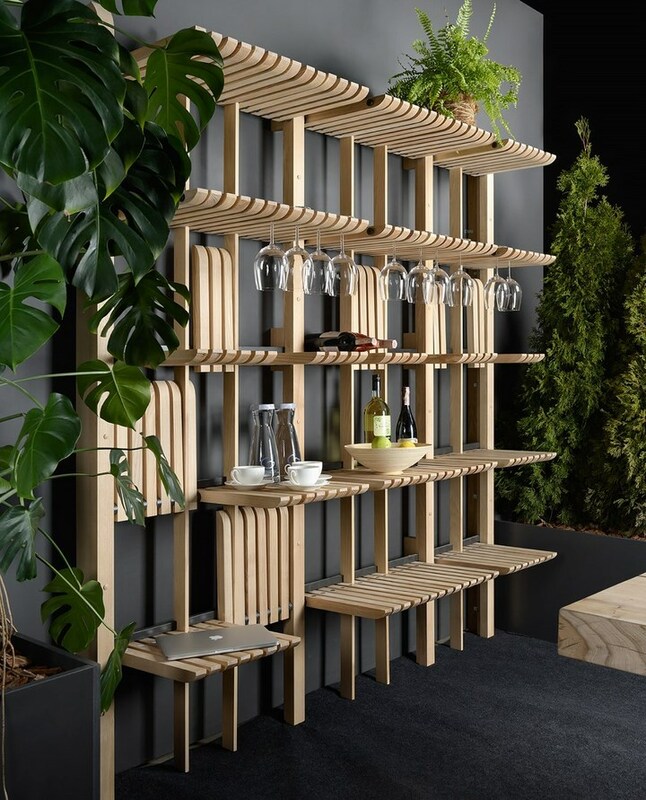 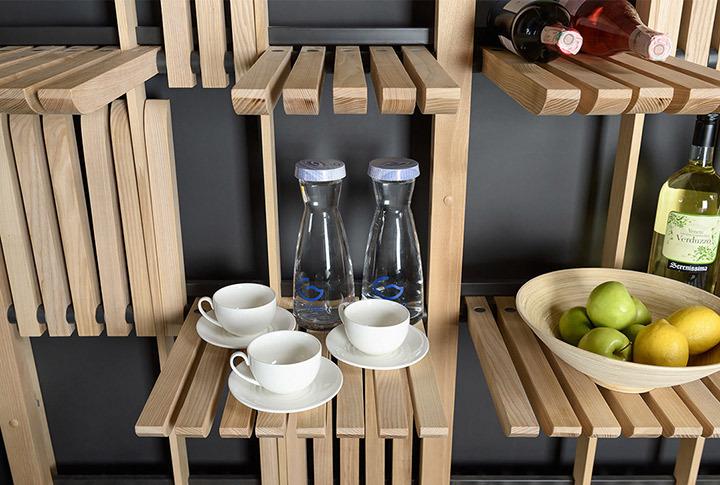 The modern shelving unit has movable wooden bars that are placed on a metal rod, enabling the function of the unit to change whenever needed. 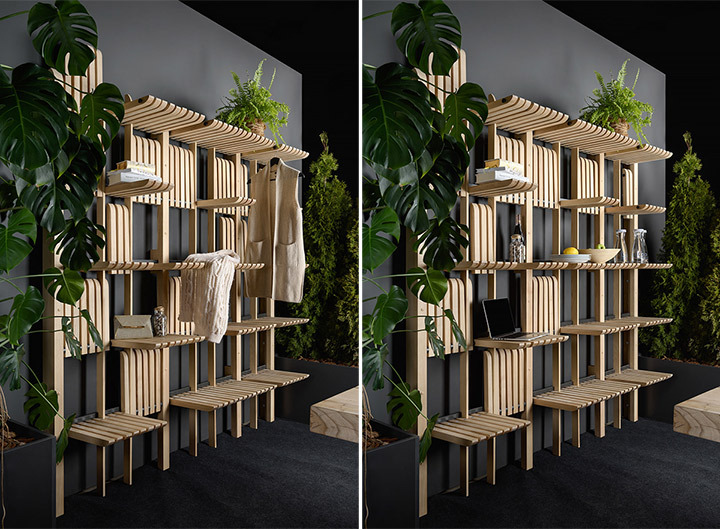 It can function as a wardrobe to hand your clothes and also as a dressing table. 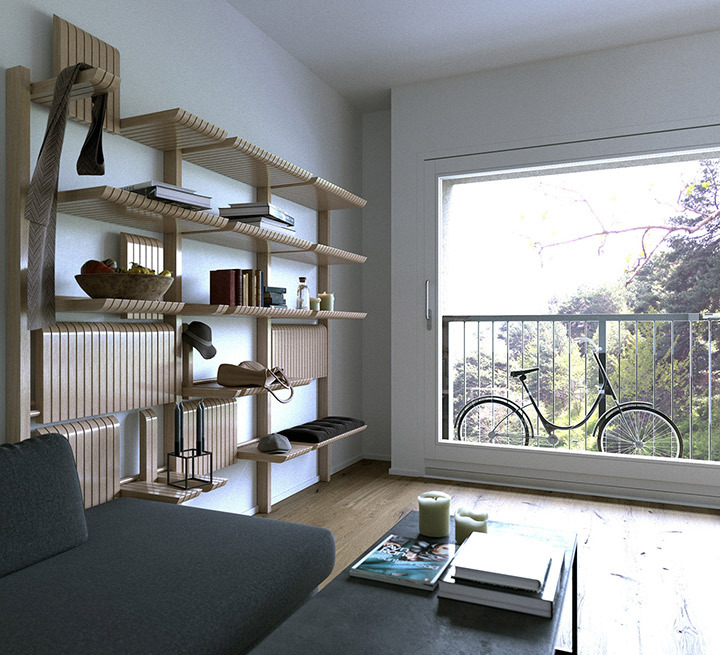 You even can place your books and indoor plants to complement your living room. 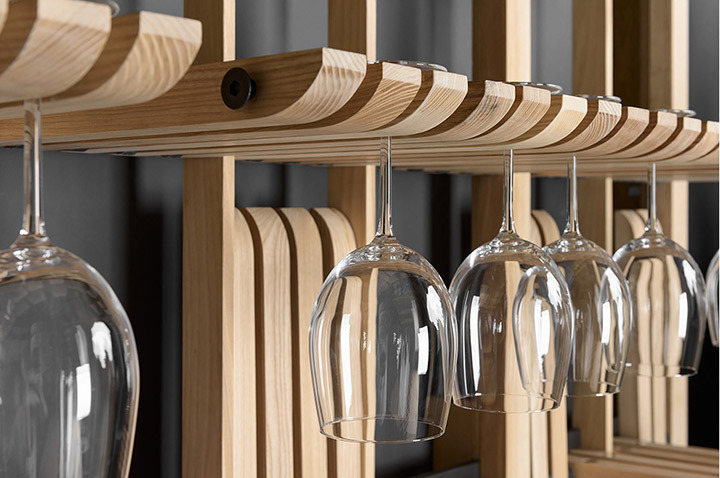 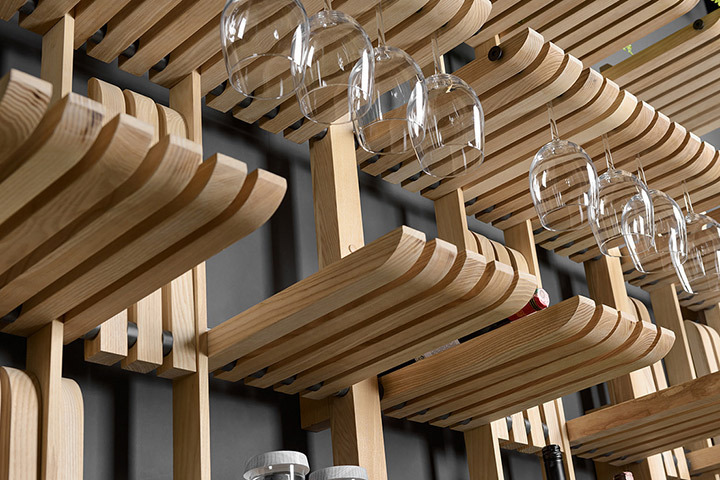 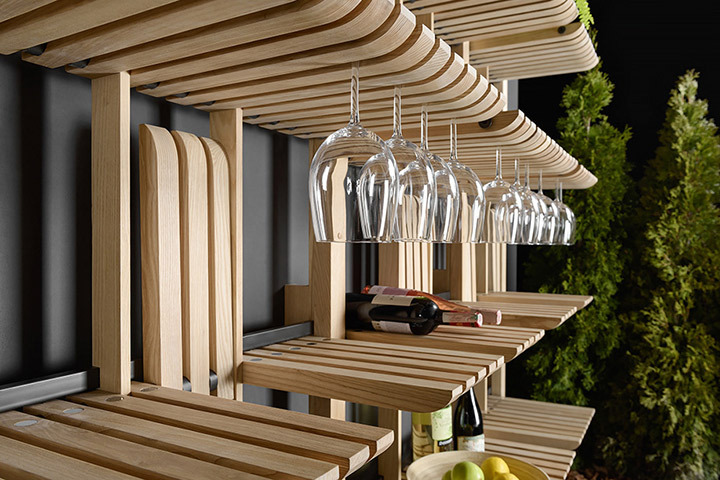 It will be a sleek addition to kitchens, bars, and restaurants where you can hang wine glasses upside down or display your dinnerware in a beautiful manner.